Roller blinds are simple in design, stylish and easy to operate. 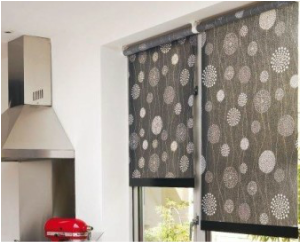 The roller blind can be rolled up or down to achieve the required level of shading for you. 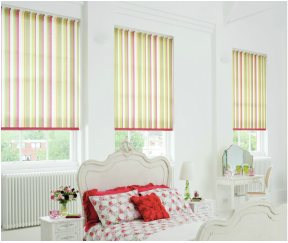 Holme Blinds 'Roller Collection' is an exciting mix of fabrics specially selected to complement and coordinate with any room in the home. Whether it's one of our modern designs, a blackout fabric for the bedroom or a water resistant print for the bathroom, all our blinds are individually manufactured to your unique specification. The traditional, standard operation for a roller blind called a sidewinder is supplied with a choice of beaded chain colours. These chains are fitted with easy break connectors to fully comply with the UK's child safety laws. Slow-rise spring roller blinds are an excellent alternative for many applications especially where there is a need for cordless blinds. The 32mm roller blinds aluminium barrel houses a premium quality spring and once the blind is released from its ratchet-stop, it will glide smoothly and quietly up to its fully open position and come to rest without that all expected familiar crash! ​Automated blinds have always been seen as a premium product, an extravagance beyond the reach of most. Personalise your roller blind by selecting from our large range of finishing accessories which include braids, pulls, poles, finials & scallops in a fantastic array of colours & materials. 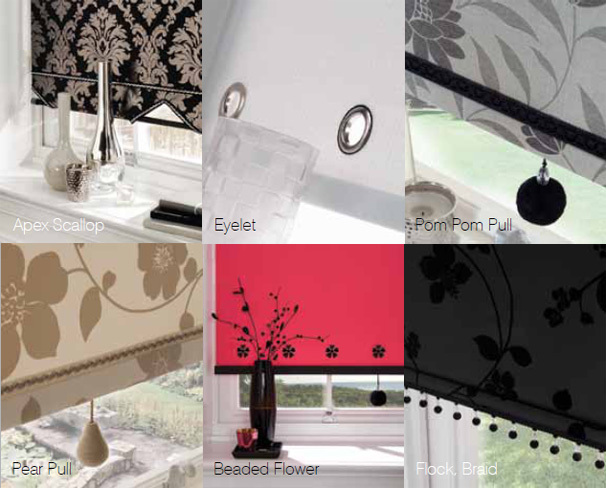 These are just some of the added extras that you can add to provide the perfect finishing touches to your window blind. Roller blinds have also importantly evolved in recent times in regards to the enhanced systems on the market and the customisation options now available. white or aluminium box or for a more personalised and contemporary look the roller blind fabric can also cover the fascia of the cassette box. There is also the Eclipse ‘Senses Slow Rise’ roller range, which is an upgraded version of the traditional tensioned blind, but you can now set the rise & stop limits for a truly modern system of control. You can also have this system without any sidewinder chain, making it very child safe. Plus you can also have the option of a pelmet with matching fabric on the fascia.